Do you need an attic emptying or rubbish removal SE12 when you move into a new property in Lee? Or do you just have years of clutter stagnating in the loft and want rid of it to make more room? All homeowners have a lot of possessions that are hidden around the house. The loft is a common place to store belongings you don’t use a lot, but then we can over time forget all about them. You may want to start the clean up job and go through the bits and pieces, before you decide to call a rubbish clearance company in Lee, SE12. Take time when having a clear out, don’t be hasty in getting rid of family heirlooms etc., you may regret it in the future. When you have your waste ready, hire our reliable Lee waste clearance company to sort it. We can help supply a SE12 waste disposal service at an affordable cost. Handy Rubbish are the experts at SE6 home clearance, commercial and builders waste clearance, so contact us now and discuss your requests. You may have a lot of bits and pieces in the house or loft that you don’t use any more, let our basement junk clearance deal with it. We will recycle what we can for economical reasons. We are the experts at rubbish disposal Lee, so you can trust us to safely remove, and dispose of it, using the proper procedures. Nothing is too much for us. Our SE12 waste removal Lee services also include skip hire, white good recycling and garage and SE13 garden waste disposal. You can call for a discussion about your rubbish and our office assistants will offer you a service that suits your needs. Contact us now Handy Rubbish and let us get rid of the junk you don’t want. We will arrange to remove anything that is cluttering your home, office or garden. Simply contact us and book a meeting. If you have chemicals, electronic equipment, or old furniture make sure you mention this, so we can arrange for the proper paperwork and permits to discard of it safely and legally. You can rely on us to take away all of your waste and or completely empty a place, if you prefer. Call us now 020 3540 8282 to know more about our Lee waste collection SE12 services. Scrolling through the internet for rubbish disposal in Lee was exhausting until a friend recommended Handy Rubbish. 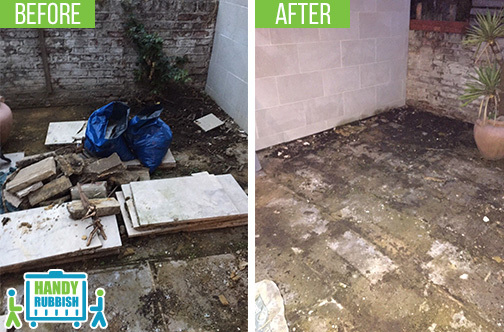 They had previously used them for rubbish and garden waste clearance and by their standards had completed a fantastic job. With good reviews, I was still a little nervous as I needed to clear out an entire home after a relative had passed. After speaking with the company they reassured me that this would be done swiftly and at a great price. They came out two days later and I can't express how grateful I am. They were extraordinarily fantastic. They made everything run smoothly. Thank you so much to the team! Reasonably priced and swift waste removal in Lee! The most efficient team in SE12! 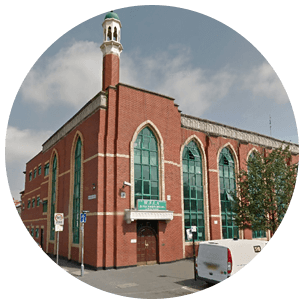 Lee is an area of South East London in the regions of Lewisham and Greenwich, and is situated southeast of Lewisham and west of Eltham. It is also called Lee Green, and its postcodes are SE12, SE13 and SE6. Lee is an up and coming area and has some stunning Victorian architecture. The area is a popular place to live with families and professionals. It is increasing in popularity, and is a lovely area with delightful residential areas, picturesque parks, a nice high street and conservation areas. It is lesser known than most area and an affordable option for home buyers than other areas of South East London. There is an excellent train service with services every 13 minutes from Lee to London Bridge. Lee and Hither Green Stations are the two main stations in Lee.This service makes it convenient for commuters. Lee has schools, pubs, restaurants and parks for entertainment. But for more facilities, it is only a few minutes’ drive from Lee to Blackheath and Lewisham, where there is a good selection of entertainment, shops, bars and restaurants.